We’re excited about our upcoming performance of “Where No Man Has Gone Before” at the Seattle Festival of Improv Theater. In the meantime, let us help you celebrate Valentine’s Day the Stafleet way! 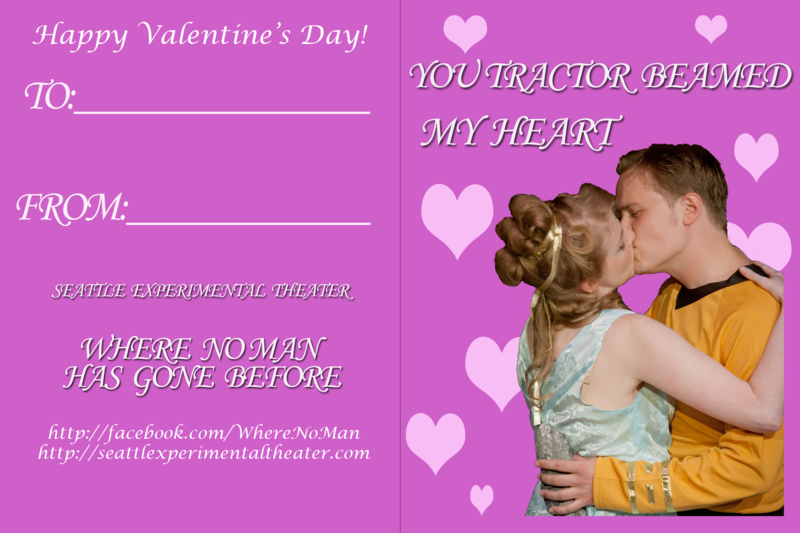 Happy Valentines' Day from our cast and crew! Feel free to download/print/share as desired. The image is 4 inches by 6 inches (300dpi) and will print on any standard or photo printer. Hope to see you at our next performance! This entry was posted in Where No Man Has Gone Before. Bookmark the permalink.